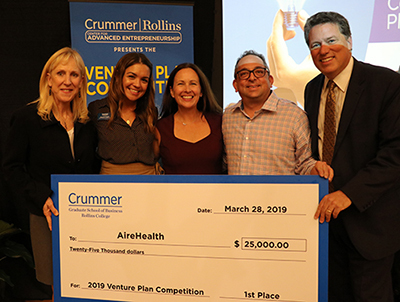 WINTER PARK, FL (March 29, 2019) – The Crummer Graduate School of Business at Rollins College has announced AireHealth, a respiratory illness solutions company, as the 2019 winner of its annual Venture Plan Competition, Central Florida’s largest and most comprehensive business plan and pitch competition for start-ups. AireHealth will receive $25,000 in prize money and has the option of receiving an additional $25,000 minimum equity investment from venVelo, a Winter Park-based, early-stage venture capital firm. In total, the competition finalists vied for their share of a total prize package valued over $100,000. Open to all regionally headquartered start-ups, the annual competition is Central Florida’s very own “Shark Tank”-like competition where teams battle for funding and mentorship in front of the region’s top entrepreneurs and venture capitalists. 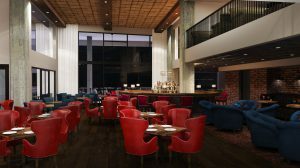 Selected from more than 50 submitted proposals, finalists included AireHealth, along with Omnimodal, a real-time data traffic solutions company; Yaupon Brothers Tea, an herbal tea company brewed from Yaupon holly; and XMDocs, a real-time tracking and automation company that connects global trading partners. Of the 27 finalists for Crummer’s Venture Plan Competition since 2012, 25 companies are in business today. 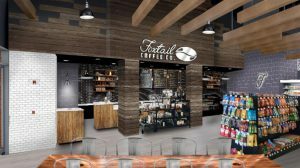 Together they have generated over $50 million in revenue, raised $35 million in investment capital and employ over 280 people. Past winners include FleetZoo, Details Flowers, Fattmerchant, EASE Applications, BioCurity, and flexReceipts. This year’s winner, AireHealth, led by CEO Stacie Ruth, is looking to positively impact 100 million people who live with a respiratory illness through a more proactive approach and patient engagement via their AireHealth nebulizer. “It is so exciting. AireHealth has so much potential and I’m so excited that the Crummer School has seen this in the Venture Plan Competition. It was such an amazing night for us, the judges were great, the questions were great and we enjoyed the entire process,” said Ruth. The Venture Plan Competition, hosted by Crummer’s Center for Advanced Entrepreneurship, was started in 2005 to give entrepreneurial-minded Central Floridians a platform to develop a viable business plan to take to the marketplace while receiving valuable feedback from an influential panel of judges. Today it brings together the most viable ventures in a seven-county area, along with the region’s top funders. 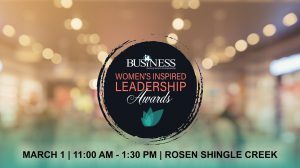 Sponsors of the competition include the Hayes Family Foundation, venVelo, Jim Barnes, Bay4 Energy, Kenyon Energy, Arsenal Venture Partners, Eldora Partners, Ferrell Wealth Management Inc., Legacy Fund, Massey Services, APC Holdings, Fattmerchant and Florentine Strategies. “It’s always great to see our community come together to support and celebrate our entrepreneurs. Four promising startups pitched tonight in our annual Crummer Venture Pitch Competition, and all of them went home winners, with a prize package valued over $100,000. Our event gets bigger and better every year. Congratulations to our four winners; in first place AireHealth, second place Omnimodal, third place Yaupon Brothers Tea, and fourth place XMDocs,” said Dr. Pete McAlindon, executive director of the Center for Advanced Entrepreneurship at the Crummer Graduate School of Business.